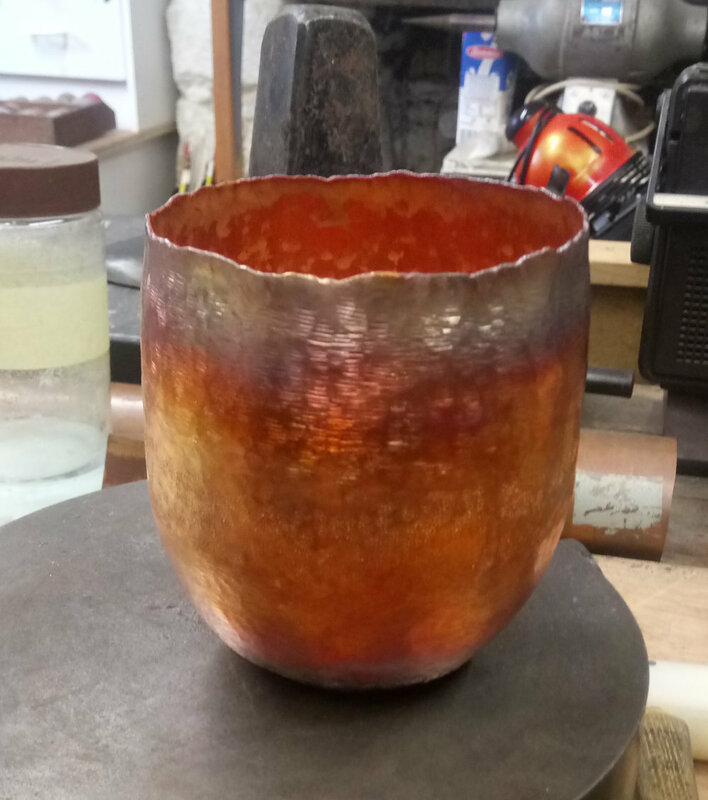 This summer there will be four week-long workshops in Silversmithing, Anticlastic Raising and Repoussee & Chasing. 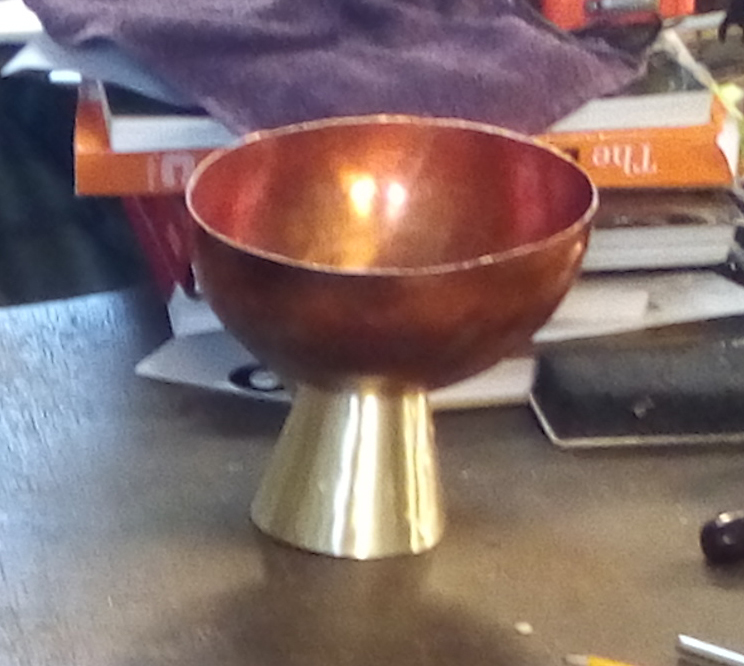 Anticlastic Raising is a technique which was explored, named, and exploited by Michael Good, a goldsmith from Maine in the USA. It is a technique with which one can create, with relative ease, forms based on the Hyperbolic Parabola. 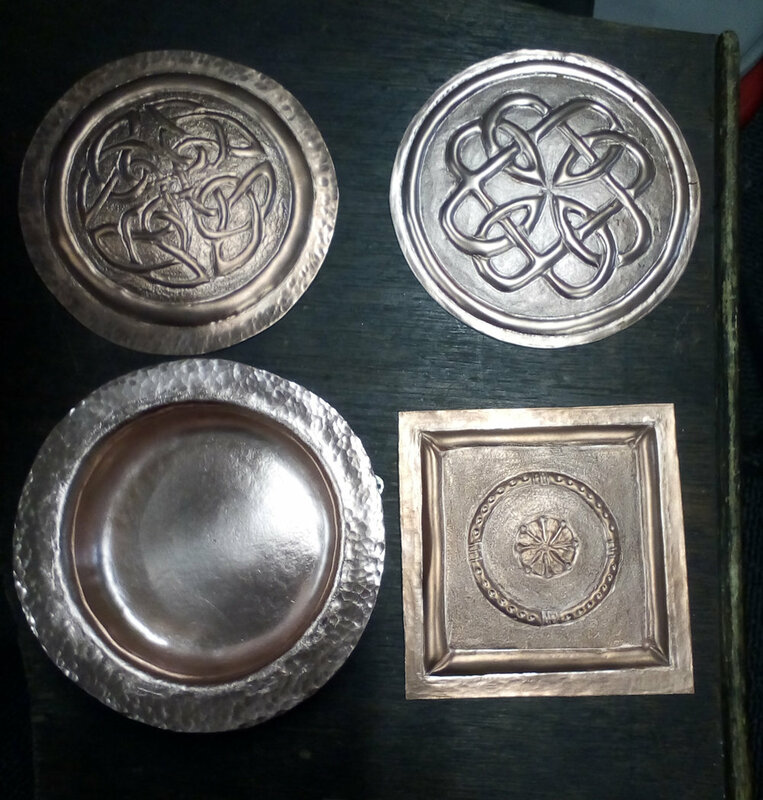 These forms can, on a small scale, be used as pieces of jewellery or as elements in a piece of jewellery, whereas on a large scale the forms can be elements of vessels or sculptures. In the anticlastic process, the centre of a flat sheet is compressed and its edges stretched so that the surface develops two curves at right angles to each other, moving in opposite directions. Historically, there were functional uses for some forms made by rudimentary anticlastic techniques, such as spouts, handles, lipped edges, etc., but they did not predominate, nor was the concept emphasised. 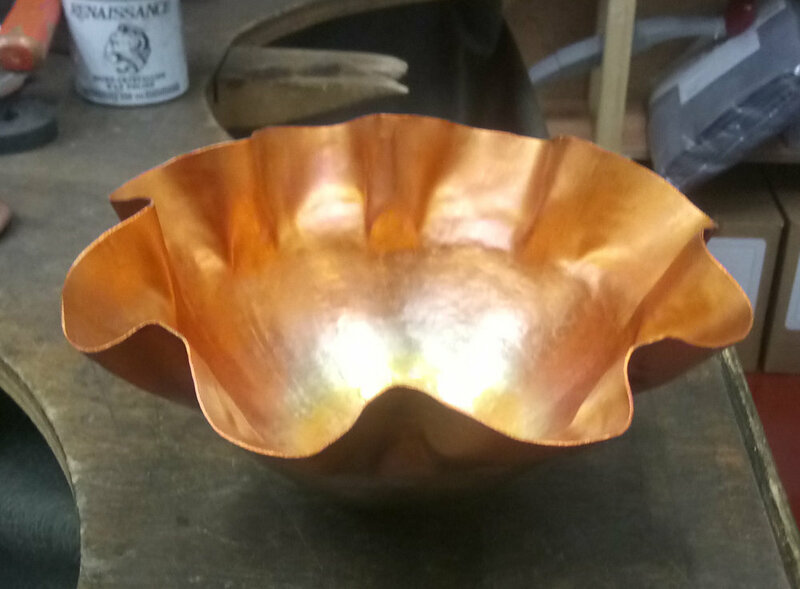 Indeed, it is only recently that metalsmiths have seriously investigated anticlastic raising as a way of manipulating sheet metal to derive new forms. You can see some examples of Brian’s Anticlastic Raising here. Participants in these workshops will learn all aspects of anticlastic raising. The projects will include an open seam earring, an open seam bangle, a hyperbolic parabola, and a double helix. The exact number of projects completed during the workshop will depend on the working speed of each individual student. Please note, we do not accept beginners for these workshops, however beginners are very welcome at our Saturday Classes. Chasing&Repoussee Mon 26th-Fri 30th August 2019.